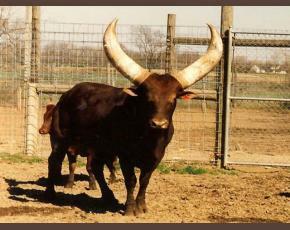 Jamar means beautiful or good looking. 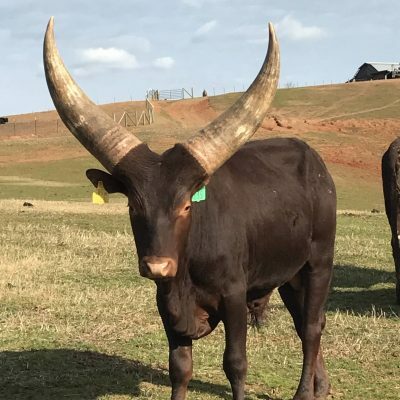 that really does describe this bull. 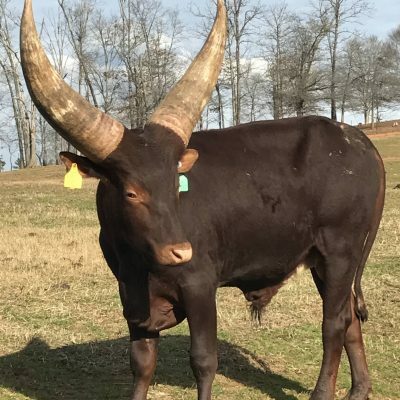 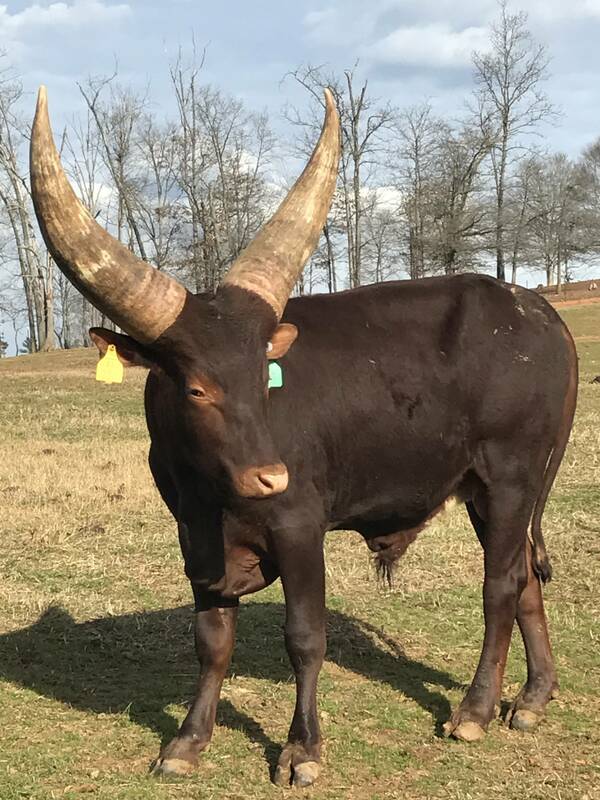 Exceptional young FP breeder bull. 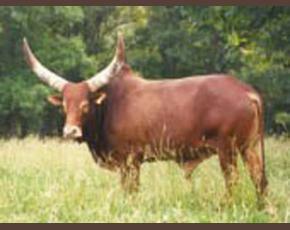 Look at his base and exceptional long upward lyre horn for his young age. 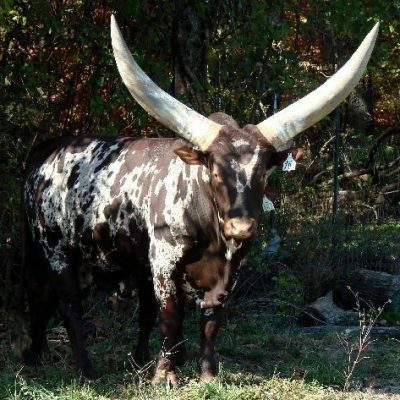 He is a real African style super star. 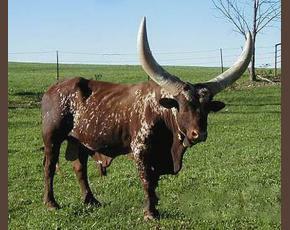 At 24 months his horn circumferences were 24 inched each with a 26 inch outside length on each. 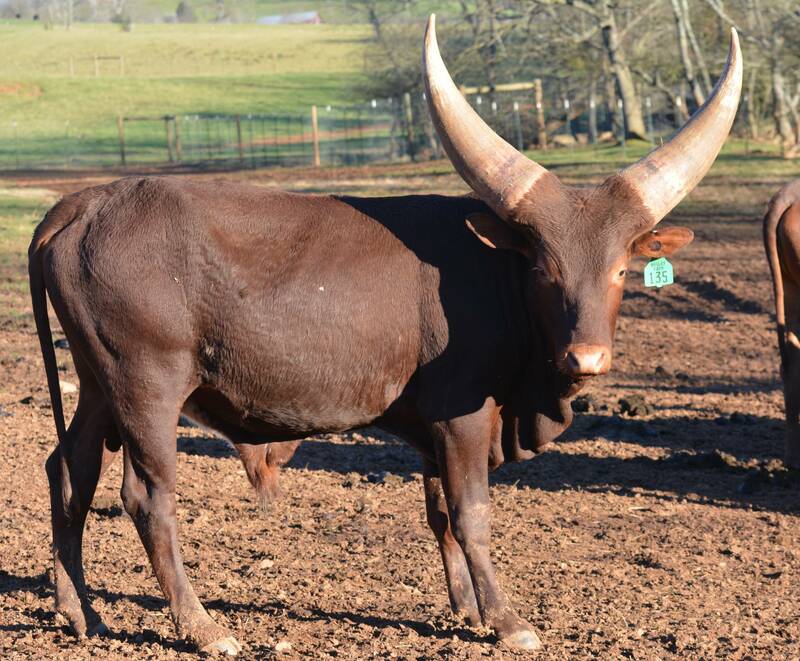 24 X 26 = 624 score on each horn at 24 months of age. 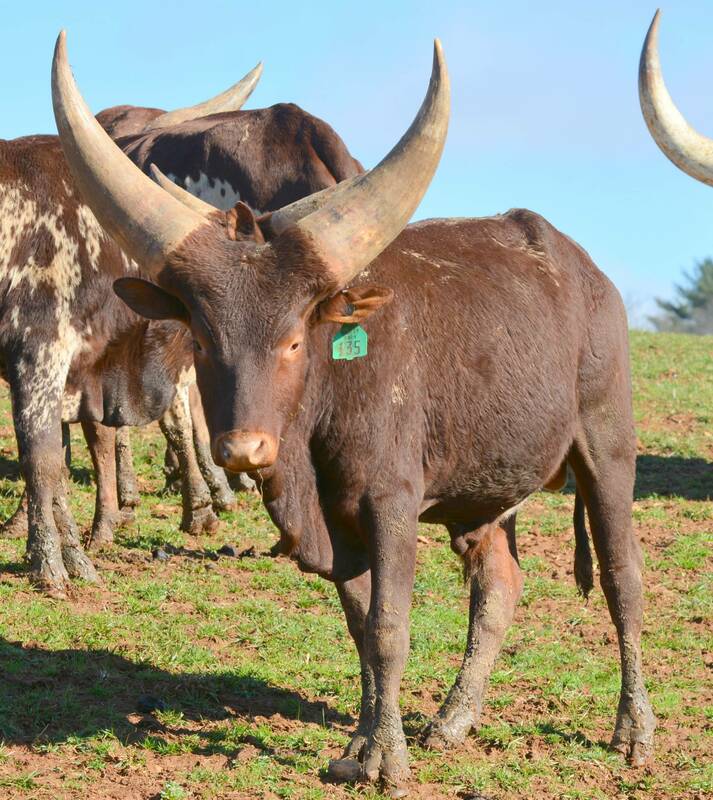 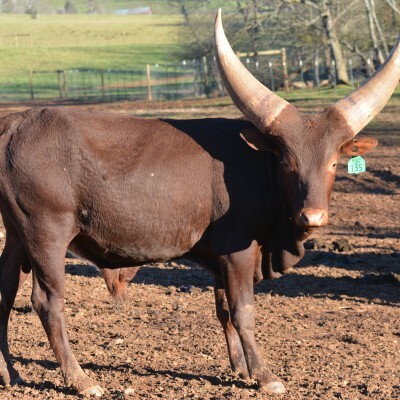 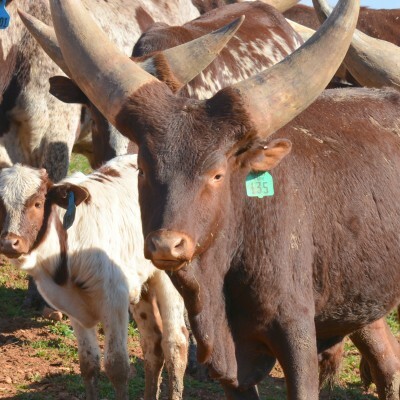 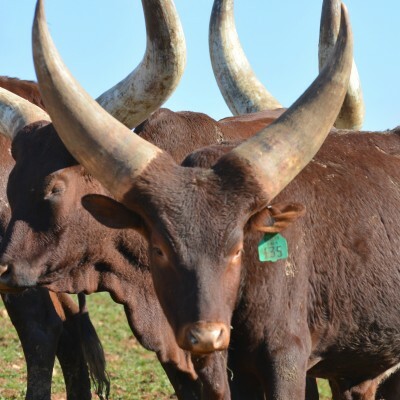 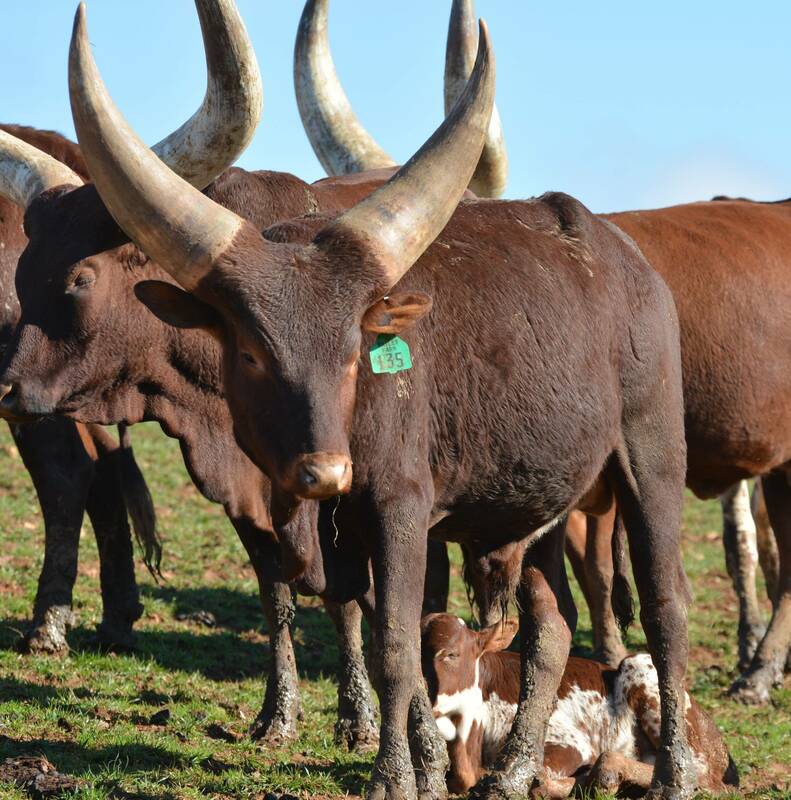 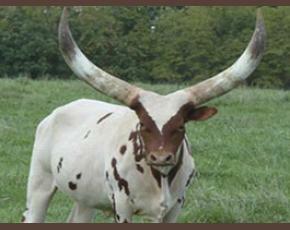 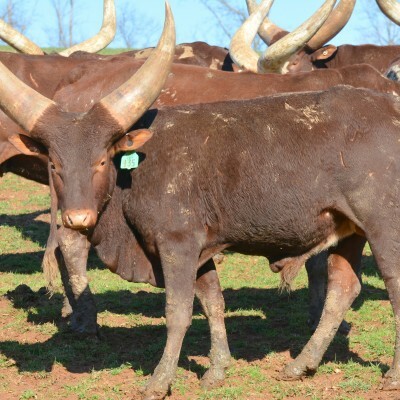 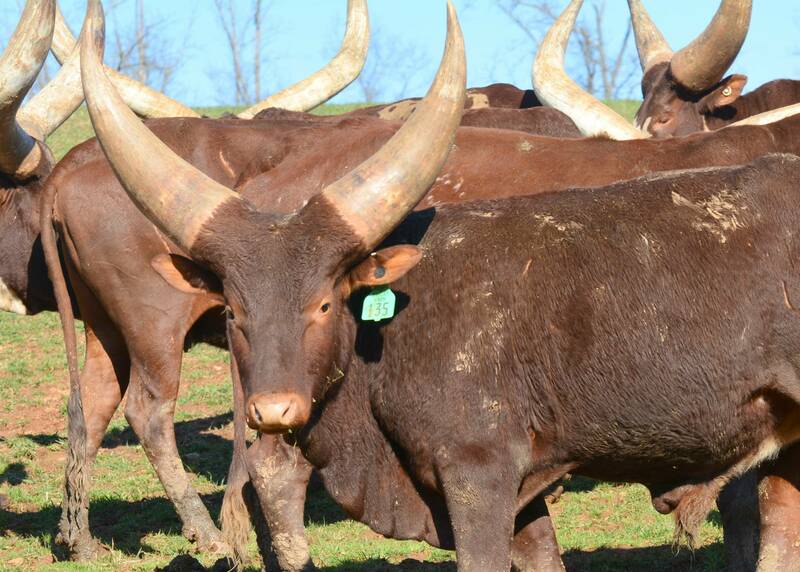 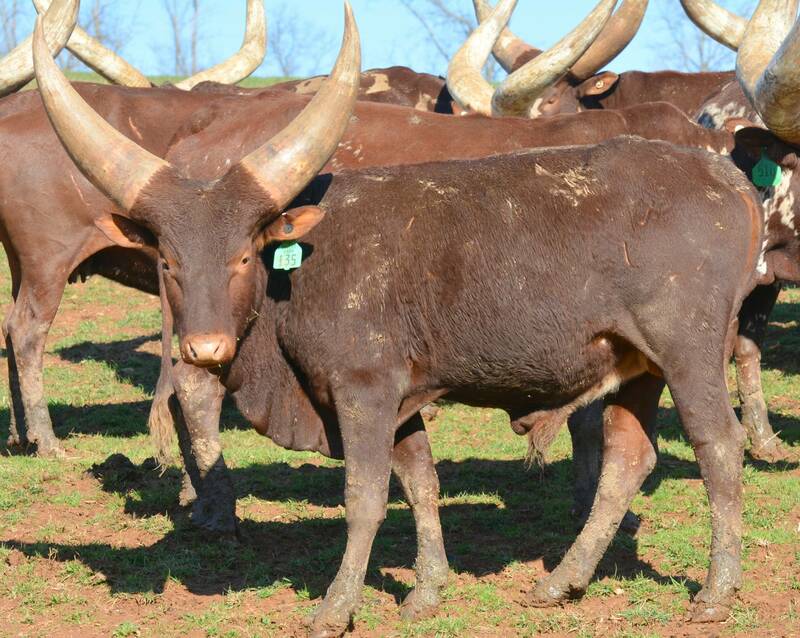 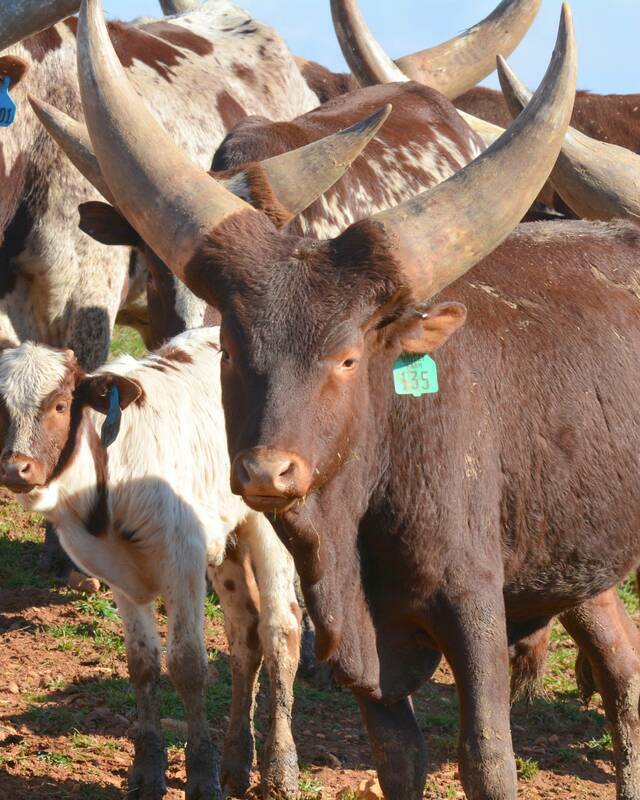 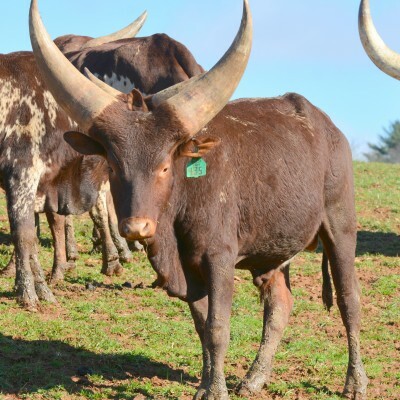 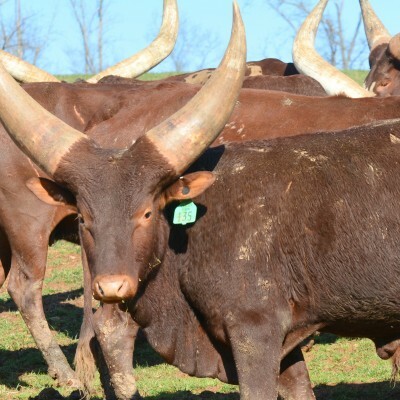 He has what I consider the perfect Watusi horn with the balance of size, base, length, shape and symmetry. 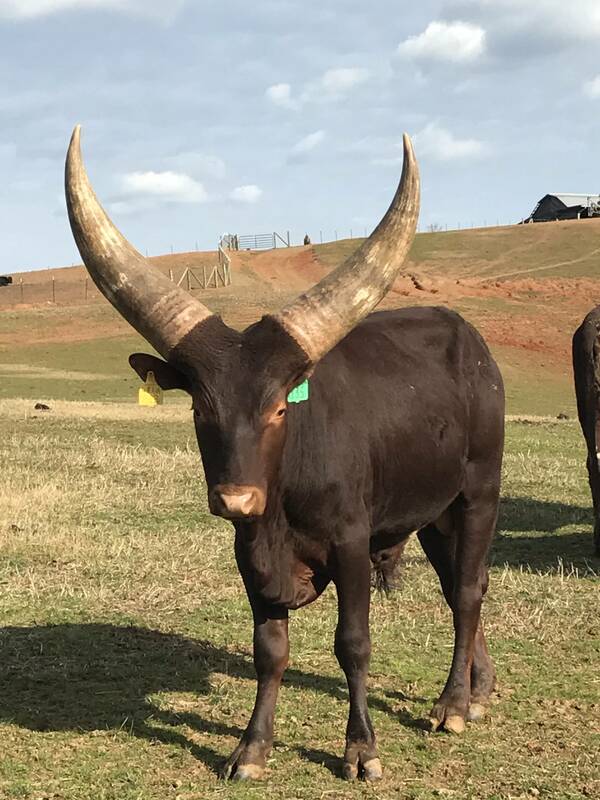 I love watching him grow into the best horns in the business. 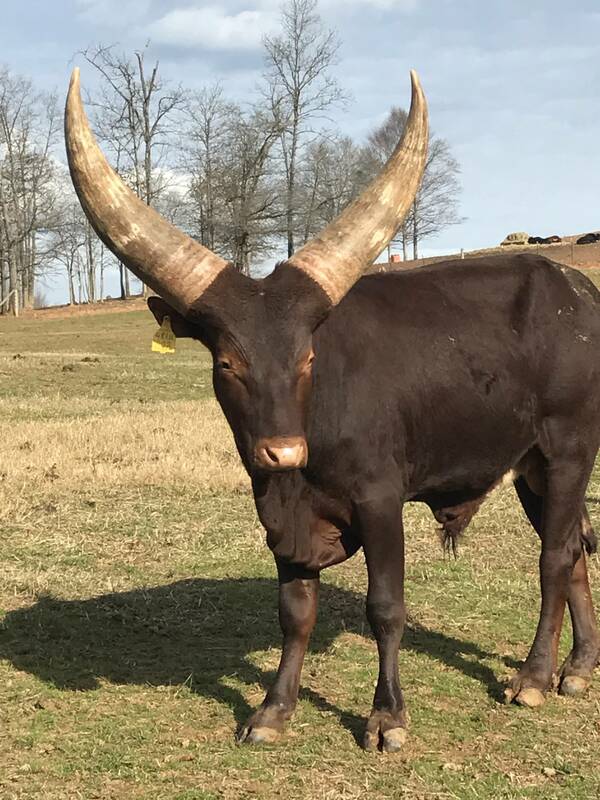 I am open to offers to see if someone likes him more than I do.